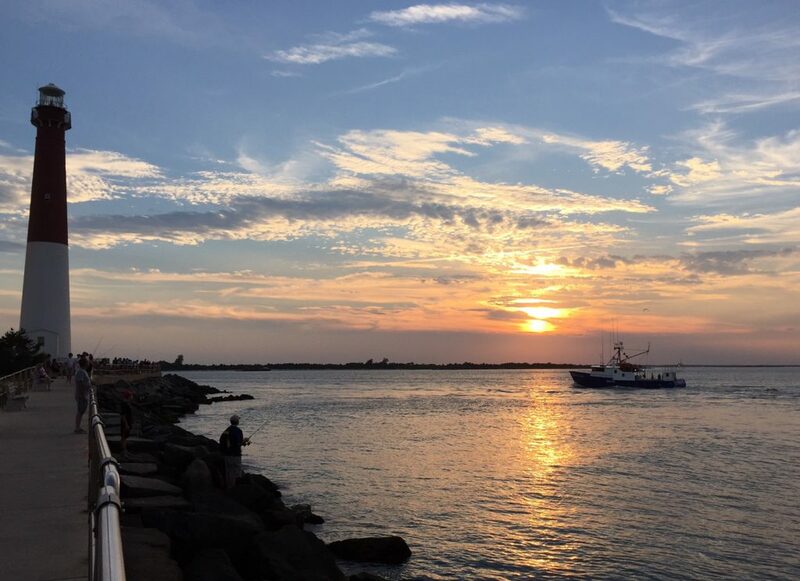 Conveniently located just inside Barnegat Inlet, we are the closest marina just past the Barnegat Lighthouse. Last stop to fuel up and load up with your bait and ice before entering the inlet for a long day of fishing, or stop by on your way in to top off your tank. With any fuel purchase of 50 gallons or more, you get a complimentary basket of ice to keep your fish fresh. Our Ship Store is a Grundens’ and Guy Cotten, and XtraTuf Distributor. We also carry boots, gloves, knives, oil, and a variety of boating supplies for both the recreational and commercial fishermen. Contact us by telephone for transient reservations, whether you are coming down for the week and need a slip to keep your boat, or you come across the bay and want to dock for the day. Our rates are reasonable and our staff friendly. The LBI shuttle that operates in the Summer is a convenient way to make your way around the island while you are visiting.